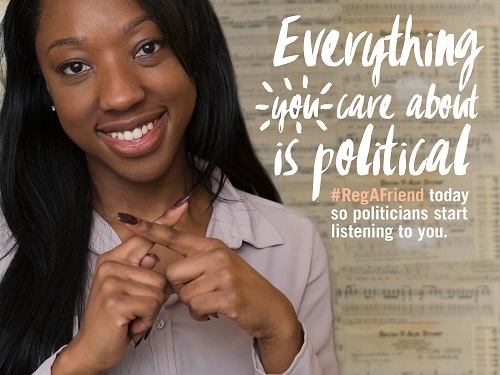 Nominate your friends to register to vote so you can all have a say and be heard. Elections are happening in May 2016 and there are still lots of young people who aren’t registered to vote. If you’re not registered, you can’t vote, and the views of an entire generation may be ignored. Voting really is a great way to change the world around you. Sure you can say what’s on your mind by updating your status but it just doesn’t have the power that your vote does. So let’s round up the stragglers. Nominate as many friends as you like because together we’re stronger. Getting your friends to register to vote means power to more young people.